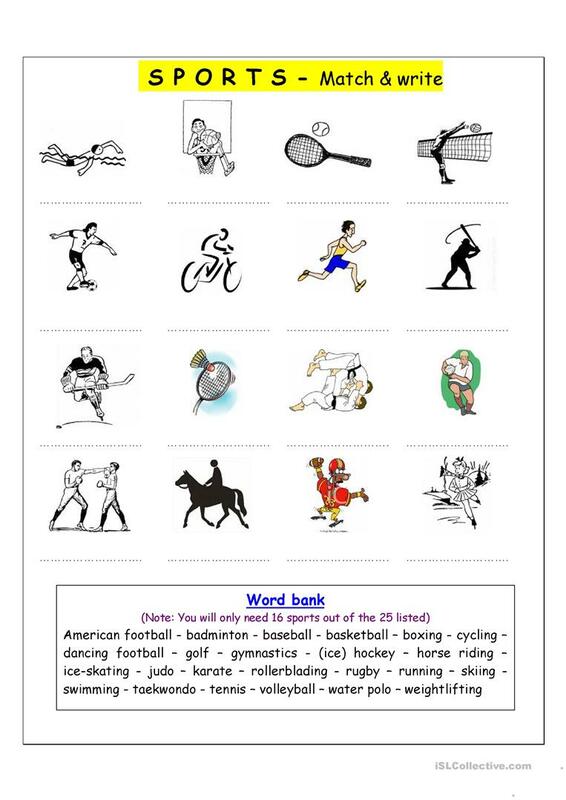 Vocabulary worksheet containing SPORTS vocabulary. It has a word bank which can be d to make the exercise more difficult. You can add a speaking activity such as telling the class about your favourite sports - or have students interview each other. The above downloadable printable is intended for high school students, kindergartners and nursery school students and adults at Elementary (A1) and Pre-intermediate (A2) level. It was designed for strengthening your groups' Reading and Writing skills. It centers around the topic and words of Sports.